Prestige Protective Services, Inc. is a premier full service security firm. 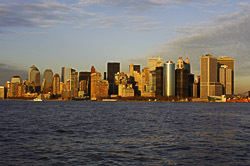 Based in New York City, Prestige offers its clients a specific and detail-orientated service. We know that security services have a very wide range of duties and appearances; this is why we offer the SELECT GUARD SERVICE. In knowing every officer is not right for every site, we provided services based on your location and needs, our management and human resource department will hand pick the right officer for you and your company. We at Prestige place our main focus in the quality of our service; in order to do this we place heavy emphasis on employee relations, training and supervision. We believe that once you have experienced the service of our officers and management, you will be completely satisfied and will be able to recommend us to your friends and piers. Prestige Protective Services inc. is a fully licensed, bonded and insured firm. We provide security services for the following type of locations and others not so typical. You have many choices for private security, yet few that provide quality services. The simple and plain fact is that the service that is provided comes down to one bottom line, the OFFICER. You as a client are looking for competent, reliable and professional officers and that is what (PPS) provides. We do this with training, counseling and supervision. A Prestige officer gives more than the average guard, we instill a strong sense of responsibility and professionalism in our officers. Prestige officers take great pride in their work and career. The return on this pride and commitment is a Competent, Reliable and Professional workforce. 2007 All Rights Reverved. Prestige Protecttive Services, Inc..